Hello there! I have been on the run the past month but I finally found some time to blog. 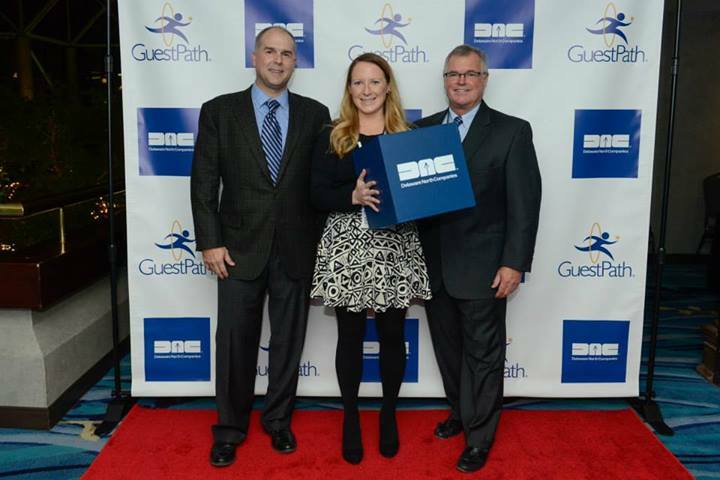 I took a little trip to my company’s corporate headquarters on November 9th for the annual GuestPath conference. It was a great experience! There were a lot of great presenters and we did some fun team building activities. After the conference I flew to Philly for a few days to visit friends and family. It was so great to catch up with everyone 🙂 I also picked up a few Pumking’s and lots of Trader Joe’s goodies to bring back with me! I got back to Bozeman on a Wednesday and it was nice to relax for a few days before returning to work on the 18th. 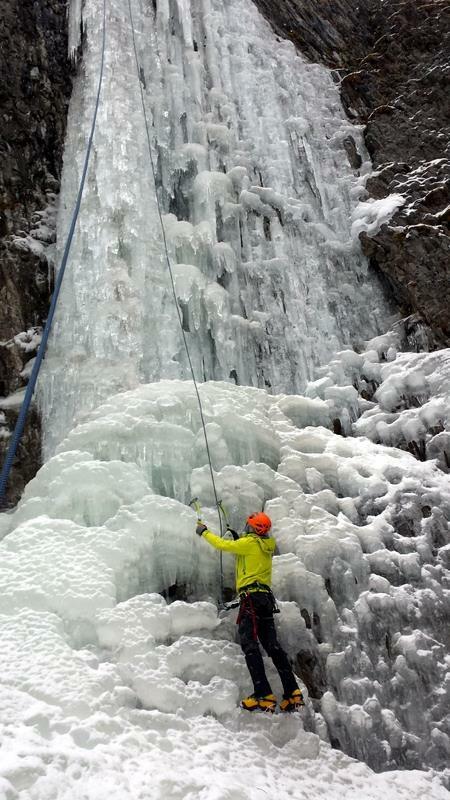 Liz and I went on a fun cross country skiing adventure on Friday and on Saturday, Gretchen, Josh, Shawn and I went ice climbing. 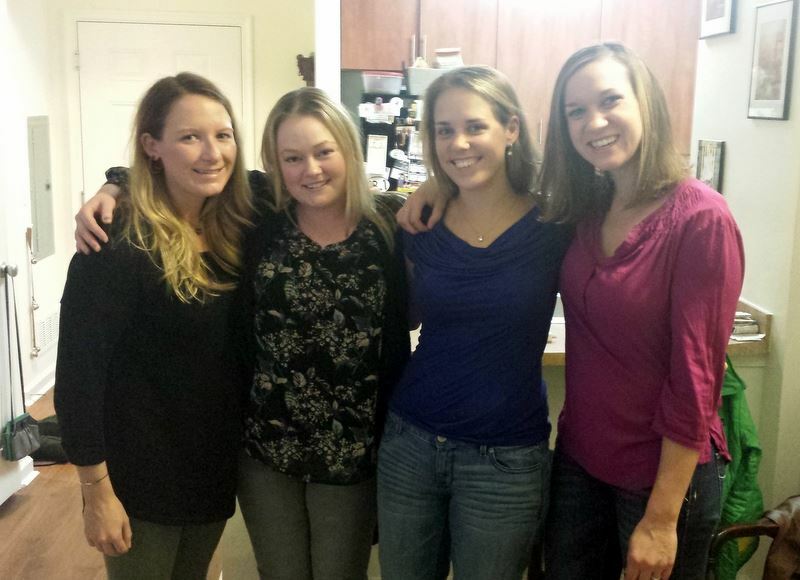 Thanksgiving weekend was tons of fun. 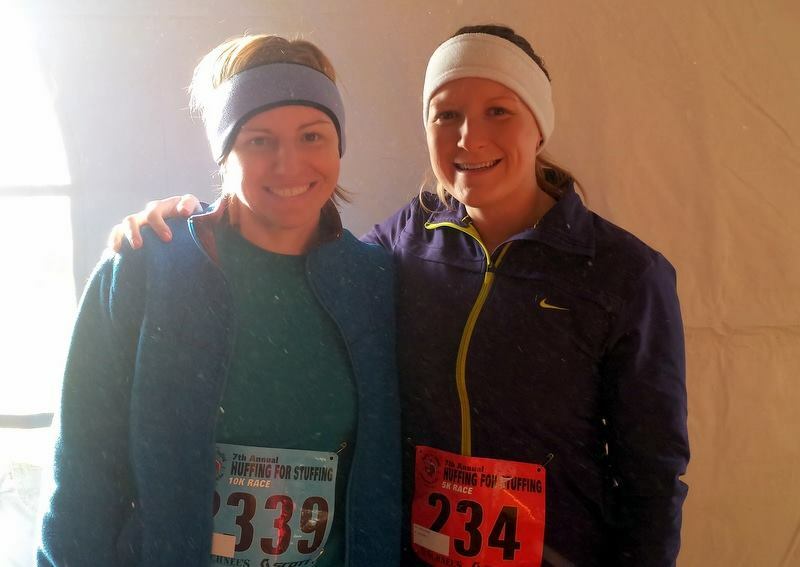 I started off the holiday weekend with Bozeman’s annual Huffing for Stuffing 5k. 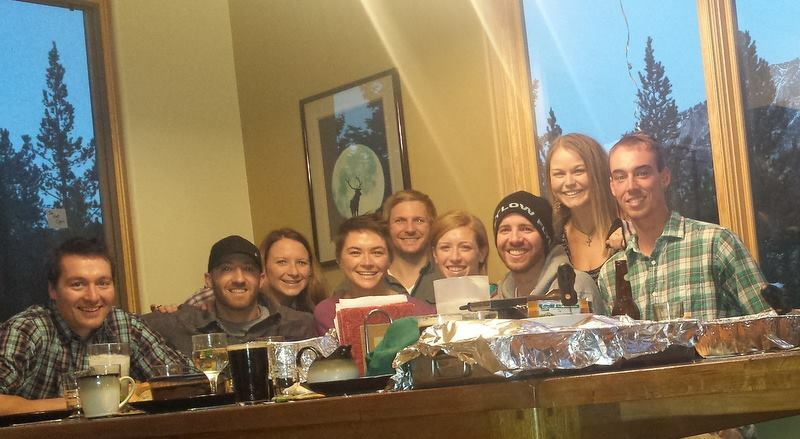 A bunch of us went up to Big Sky to celebrate! 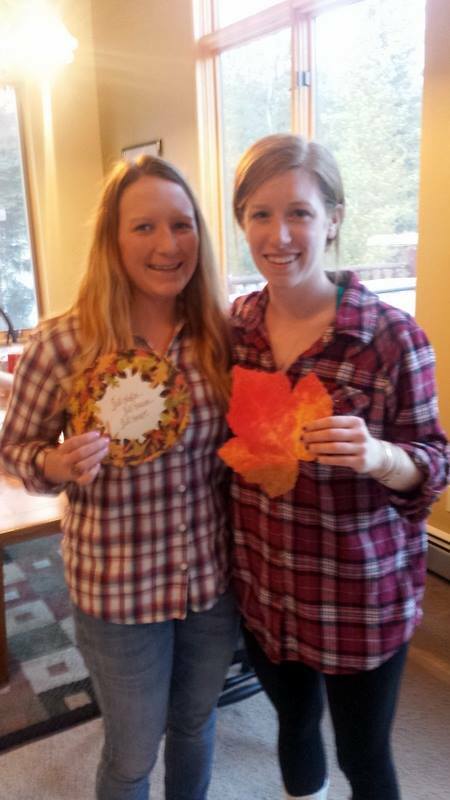 Naturally Liz and I were wearing matching red plaid shirts. We were up late on Thursday so Friday morning was a little rough but Gretchen managed to make it to work on time and the boys (Josh, Aaron, Rob and Steve) went up to the mountain to ski. Liz and I were planning on snowshoeing at Ousal Falls but there wasn’t enough snow so we just hiked around then went up to the resort to hang out and get a drink with the boys. We hit up Lone Peak Brewery for dinner on Friday night then we went to some bar in Big Sky (I can’t remember the name!) to see our friend, Hedi’s boyfriend’s band play. They had the Elysian Night Owl Pumpkin on tap which is one of my favorite beers! It was a fun night. 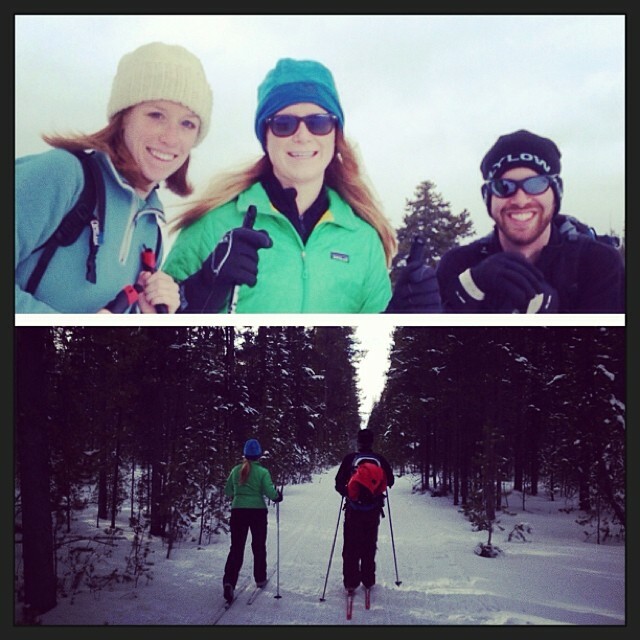 On Saturday, we packed the car up and Liz, Steve and I headed to West Yellowstone to do some XC skiing. 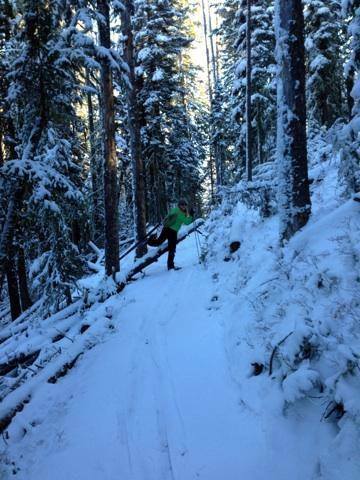 It was a beautiful day and we ended up doing just under 5 miles on the Riverside ski loop. 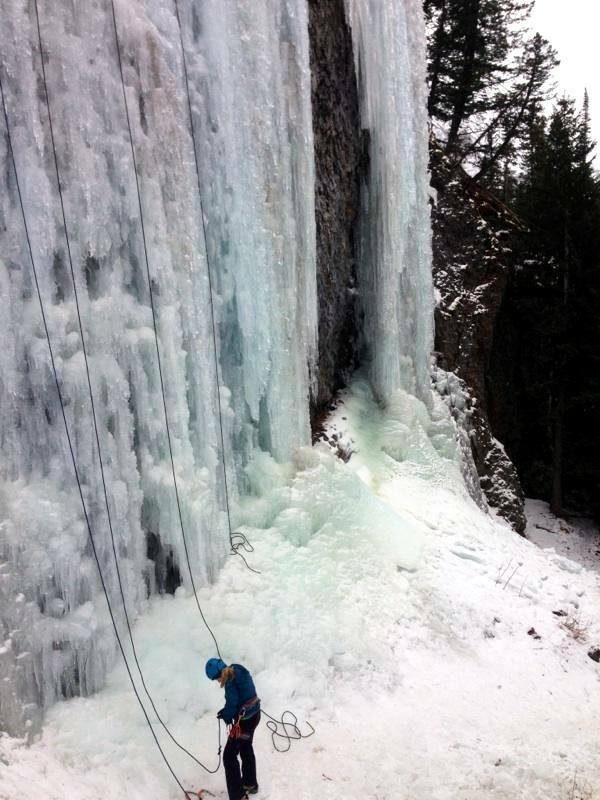 Aaron and I went up to Hyalite on Sunday to ice climb. It was a great day. I’m getting so excited about the Bozeman Ice Fest!!!!!!!!! It was a great month and I am looking forward to December. 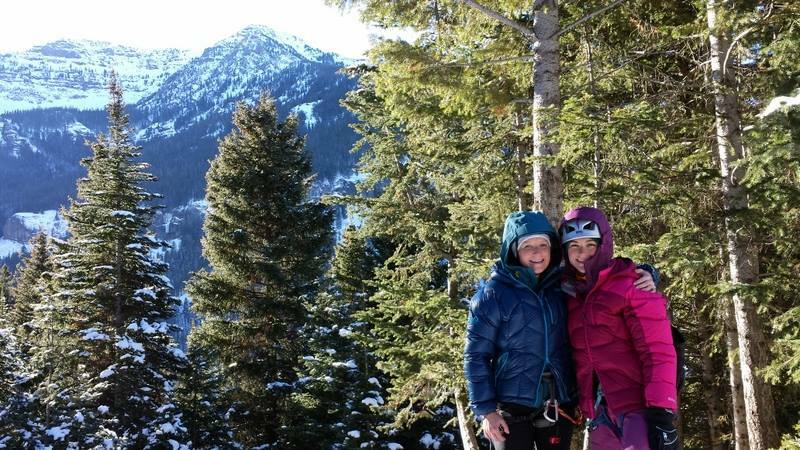 We are going up to Big Sky again this weekend to volunteer with Eagle Mount and do some skiing and we are having a fun girls night on Sunday! Hope everyone else is having a great week.